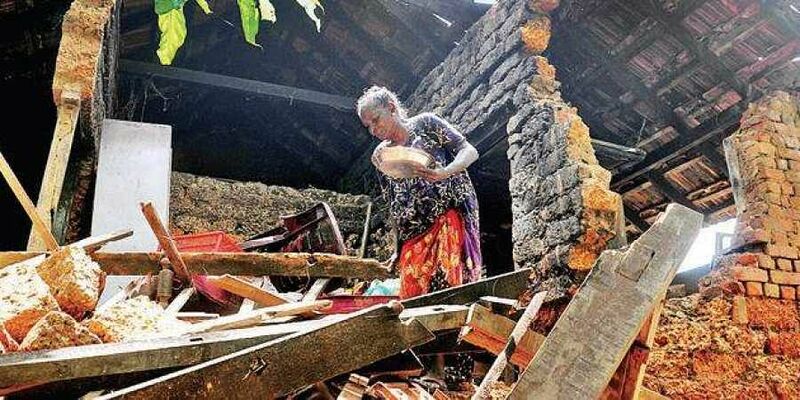 Many houses, some of them brand new, were lost to the devastating mid-August deluge in Kerala. KOCHI: Many houses, some of them brand new, were lost to the devastating mid-August deluge in Kerala. Experts attribute poor construction and faulty building plan to the phenomenon. “What happened in Kerala was indiscriminate land abuse. It is understandable if a person from a financially weaker background builds a house in an area or land that actually is not fit for construction. However, when affluent people do so, it means they has fallen prey to their own arrogance,” said Shankar G, Habitat Group, an eco-friendly construction firm. He said climate change is happening. “It has become an undeniable fact. So, Kerala, which is an ecologically sensitive region, will be prone to more such devastating floods and earthquakes. So we need to change the building strategy. Constructions should be disaster-resistant. Architects and builders need to draw plans that mitigate natural calamities,” he said. One way to achieve a disaster-proof housing is by going local. “Kerala should be thinking local. The technology, materials used, and plans should be done in such a fashion that it gels with the natural elements of the area. Sustainability should be the mantra. The aim should be to create a structure that is cost-efficient and ecologically sensitive,” said Shankar. One of the major things that need to be done by the government is to make building bylaws stricter, he said. “It should not have loopholes. Before approving a building plan, authorities should look into the land condition. As a matter of fact, the government needs to prepare a major document regarding land use. A vulnerability map is the need of the hour,” he said. According to him, one of the major reasons for the building to collapse in flood-hit areas is the unequal settlement of foundation. “The government should conduct a proper survey of the buildings that have been deemed unfit for habitation. Some of the structures can be redeemed. However, many people simply demolish their houses based on the faulty recommendations made by some engineers. This ultimately will lead to a major portion of the relief fund getting used in endeavours that could have been avoided,” he said. Shankar’s view was endorsed by Elisa Silva, an Australian architect. “One major flaw of our times is that we have great faith in our engineering and technology. So instead of going for construction practices that need to be in tune with the climate, we adopt modern techniques, which might work in other countries, but not in ours,” she said. According to Silva, local knowledge about the land pattern needs to be recovered. “Actually many of the houses destroyed in the flood should never have been constructed. River fronts need to be developed as public spaces, may be as parks, but surely not for residential buildings,” she added.